"We had a full boat for the day's dives. 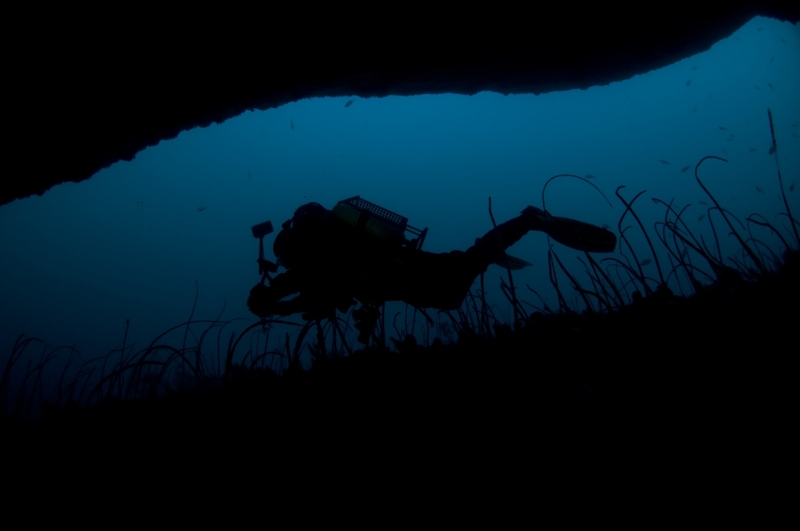 These fortunate divers encountered calm seas, warm weather and excellent dive locations. As usual, we dropped a shot line at the stern of the Nord for diver use and Janine, John and James dived first using this shot. 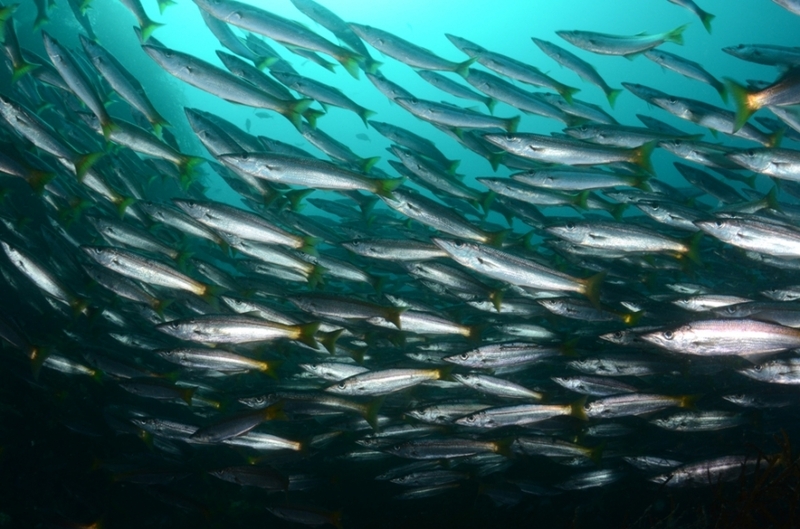 The visibility was poor in the top 10m due mainly to the masses of egg sacks. 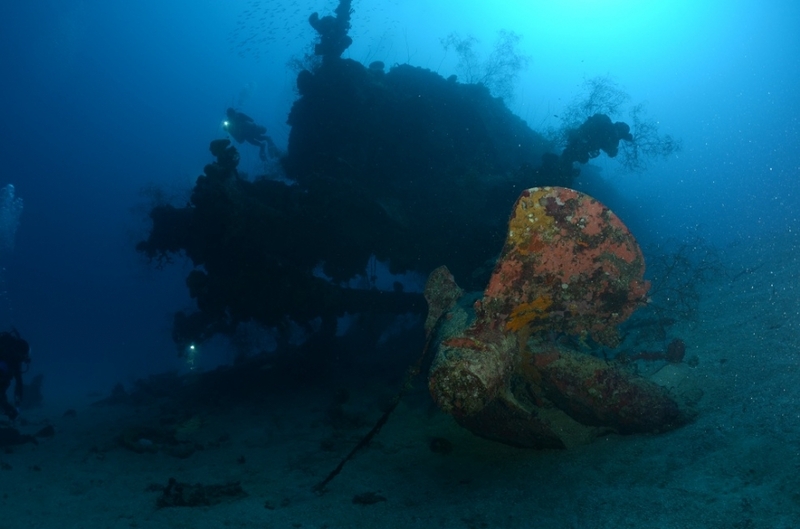 Below that it improved to about 20m, although it was dark down on the wreck due to the overcast conditions and poor visibility at shallower depths. 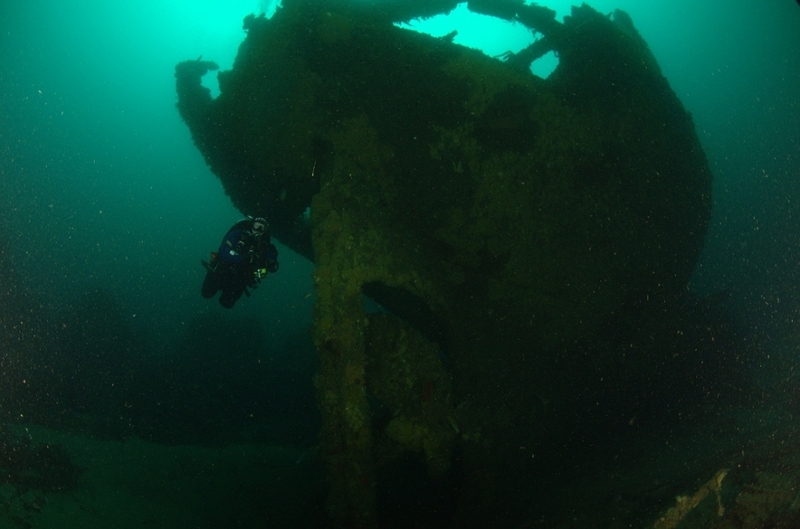 The wreck is still an awesome dive, although the collapse of the stern last winter is sad to see. 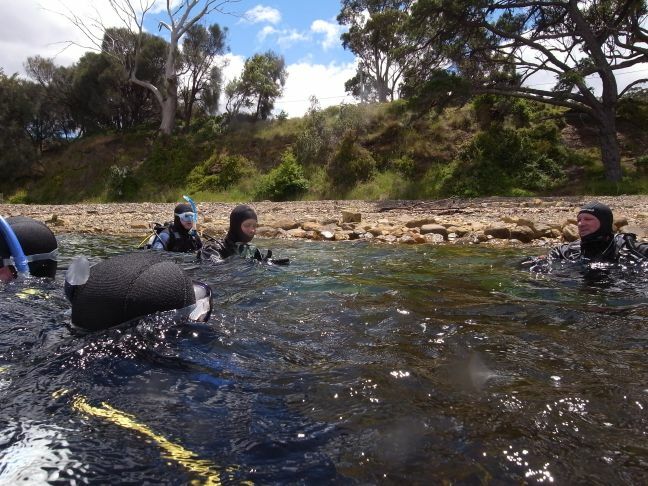 Janine returned to the boat before the rebreather divers and took over running the boat whilst the other three, Michael, Ollie and Greg, dived on the reefs near the shore, in shallower water than the Nord sits. After all were back aboard we cruised around a bit, took in the scenery, saw a whale, and then selected our site for dive two. This was a shallow dive on the northern shore where there is a rock arch. The walls of the tunnel are covered in corals and it is a very pretty dive. 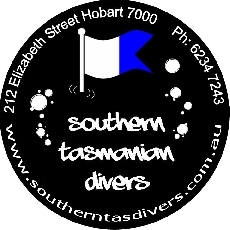 The dive is in less than 15m of water. Still no sea breeze by mid afternoon, so we had a pleasant cruise back to the boat ramp in continuing calm conditions, with a brief stop along the way to watch the seals hauled out under the Candlestick area of Fortescue Bay. 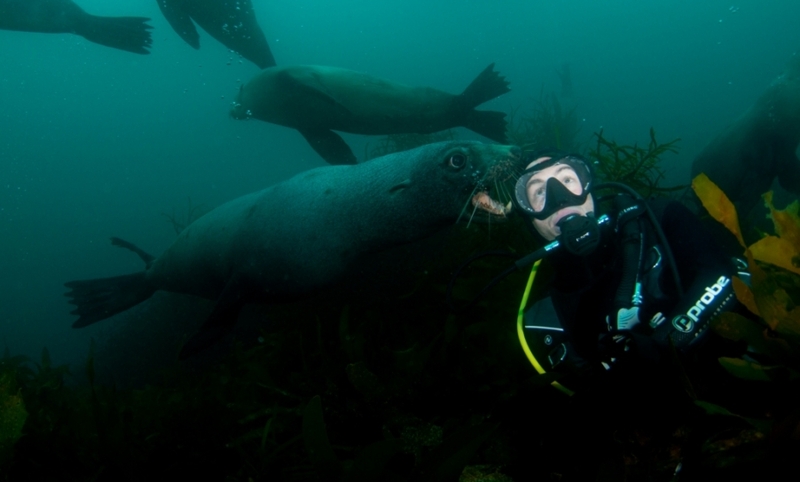 This was an excellent day's diving, in amazing sea conditions alongside great company."